This holiday season I didn’t manage a photo trip to capture some of the kitschier Christmas decorations on Chicago’s Southwest side as I had planned on my winter list. 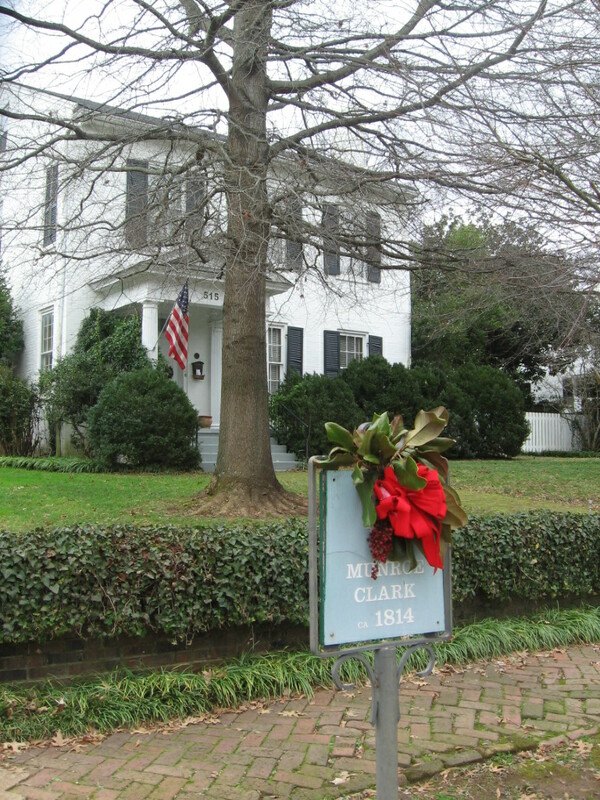 However, before immersing ourselves with travel to the moon and space shuttle launches at space camp in Huntsville, Alabama last week, my son and I walked through Huntsville’s historic Twickenham District. So, before the holiday season is entirely over (the Orthodox Christmas is celebrated tomorrow), I shall share with you these tastefully decorated antebellum homes. 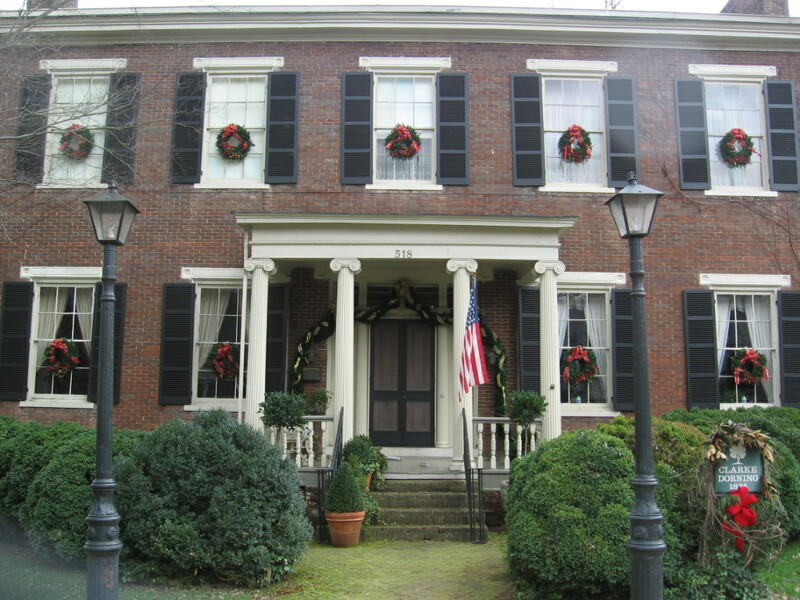 Huntsville features the most antebellum homes in any city in Alabama. 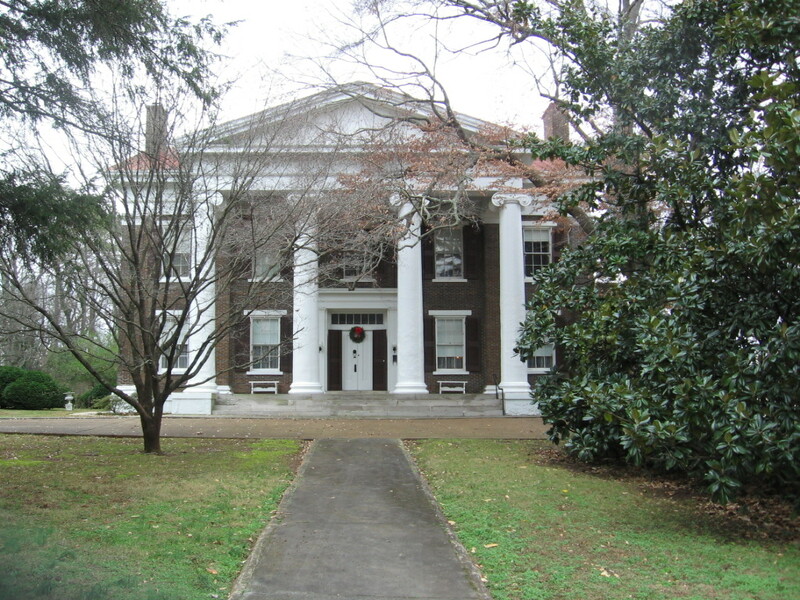 Antebellum refers to homes built before the Civil War (1861-1865). We walked down Franklin Street and side streets from there. From what I can tell, that tree in the background is a rhododendron, which reaches only bush size up north. 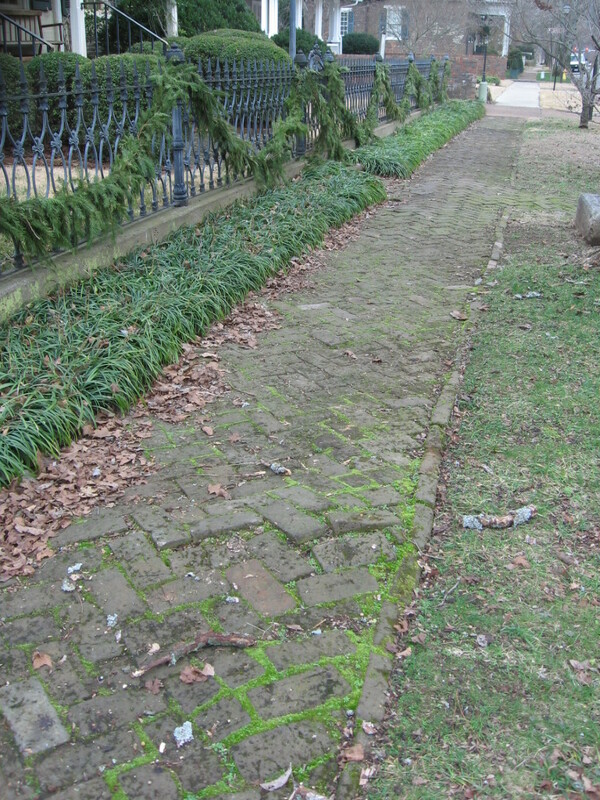 You do have to watch your step on those old brick side walks! My sister worked and lived part-time in Huntsville for two years. She never told me about the antebellum homes. I would love to take a tour. So beautiful. My family lives in that area. Gorgeous places. Thanks for sharing! While I've often heard of the beautiful homes in Huntsville, I've never taken the time to look at some photos. Thanks for sharing! These were lovely. Especially decorated for Christmas. Beautiful photos of antebellum homes! My nephew may be moving to Huntsville soon and after seeing your photos I will be happy to visit the area to see these homes for myself while also visiting him. kybarb – thanks for digging back this far in my blog and commenting on this post! 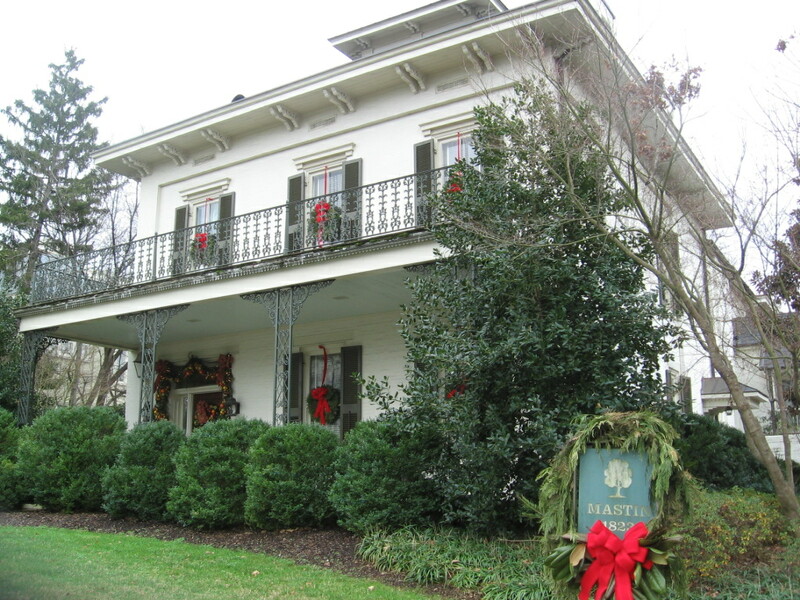 When you do go to Huntsville, perhaps you can go during the holiday season when some of these homes open up for a tour. I'd love to see one of them from the inside. But you'll see, if you do get to go there, that the whole neighborhood is spectacular. These homes are, in 3 different pictures, the homes of my ancestors who lived on Franklin Street. 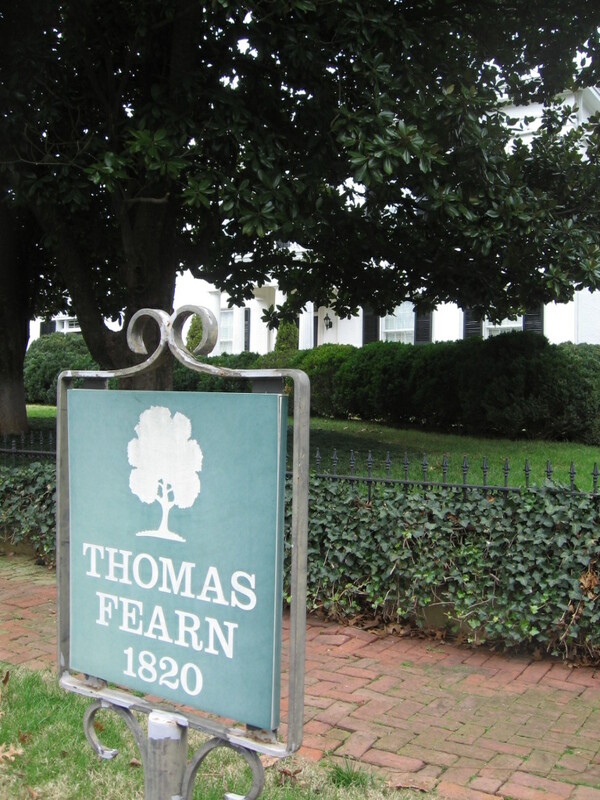 At the Fearn home, ( my great great great grandfather) that tree is a magnolia… they do get very large here.